MILLION TONNES OF WASTE IS CREATED EACH YEAR IN THE UK! In less than two hours, the waste we produce would fill the Albert Hall in London! 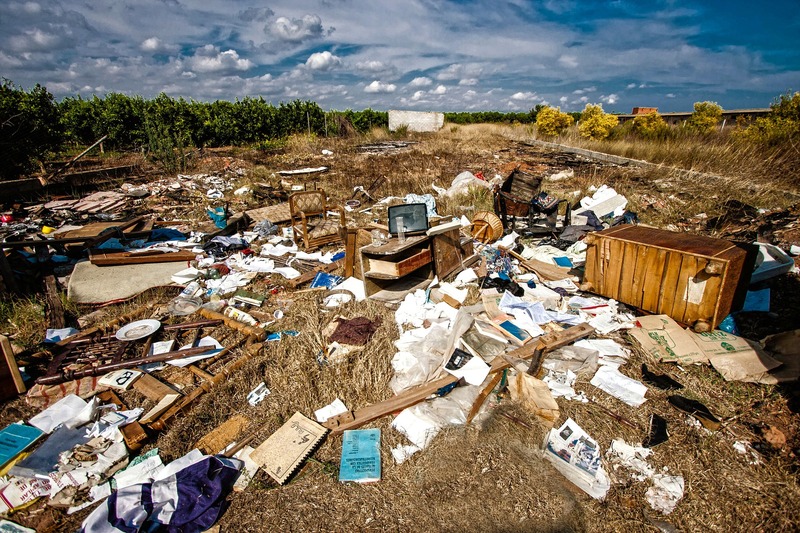 Vacant sites and land accumulate waste at alarming speeds. This often includes hazardous waste materials necessitating the correct waste clearance procedures and equipment for effective removal. Responsible companies like Secure Site also ensure hazardous waste disposal is carried out in an approved and certified manner. We offer comprehensive site clearance services as practical and affordable alternatives to skip hire or other routes when managing clearances, disposal and decontamination of your site. Our highly trained teams clear anything from a vacant flat or office to closed pubs and warehouses or entire industrial estates; removing waste, abandoned stock, fixtures, machinery and combustibles in order to reduce potential hazards and help market the site properly. As well as avoiding the costs of a parking suspension permit and skip, wait and load trucks enable clearances at short notice and, since the volume of waste our trucks can carry is much larger than builder’s skips, the job may be done in one visit. Our specialist clearance teams are also equipped and trained in hazardous waste disposal, focusing on the safe removal and disposal of hazardous chemical waste such as pesticides, laboratory chemicals, industrial chemicals, spillages, tank cleaning and related contaminated materials. As Environment Agency licensed waste carriers, we select the most appropriate disposal route for your waste – landfill, incineration, treatment or recovery – ensuring all documentation and licensing is in place to meet all regulatory, legislative and insurance requirements. Abandoned sites and buildings are a natural draw for vagrants and other trespassers. Aside from the trespass implications of illegal occupation, site and building owners often face the problem of dealing with human waste and detritus that has been left even after a brief occupation. Apart from being unsightly, human waste is also a health risk and can include associated material such as pet corpses and soiled clothing. As a licensed waste carrier, we dispose of all such waste in accordance with current environmental legislation in a speedy, efficient and hygienic manner.